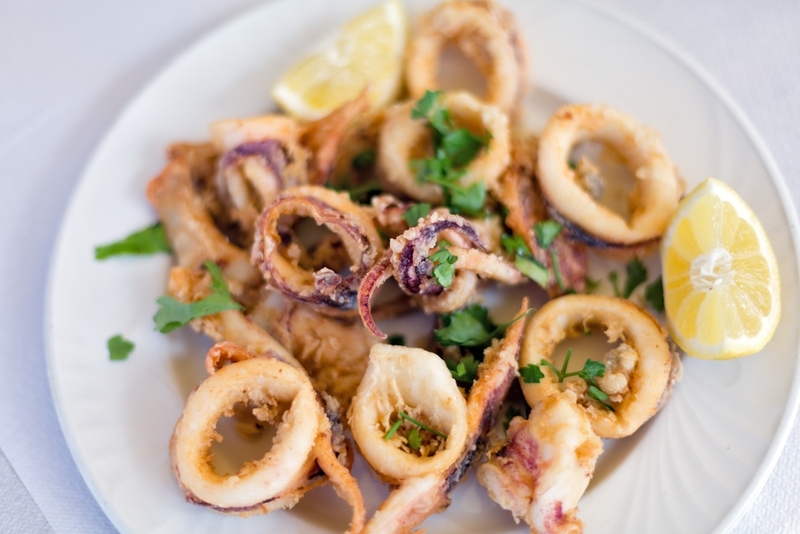 A staple appliance in eateries across Australia, the deep fryer is responsible for an array of delicious food. 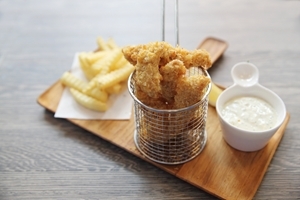 From simple fish and chip shop comforts to delicate bites such as tempura, food cooked using a deep fryer is quickly crisped to perfection while the inside is steam cooked by the trapped heat. While a deep fryer can make kitchen life easier by speeding up the crisp cooking process that would take longer through baking, it can quickly become problematic if the correct oil isn’t used. However, when it comes to choosing an oil for your cooking operation, there isn’t a one-size-fits-all option – here’s our advice to ensure your choice is cost-effective, without compromising the quality or flavour of your food. Before choosing your cooking oil, consider the contents of your menu. They say a jack-of-all-trades is a master of none, which is precisely the case when it comes to choosing an oil for your frying needs. Different types of oil impact food in different ways, so you need to consider the contents of your menu before committing to a purchase. One of the major differences between types of oils is the smoke point. The smoke point of an oil is the temperature that it starts to break down or burn at. Continue heating the oil at this temperature, and you’ll risk it catching fire. Besides the liability of an oil-induced fire, cooking at this temperature can greatly change the taste of the oil and reduce the quality of the food you are cooking. This change in taste applies to relatively “flavourless” oils such as canola oil too. Heat can also distort oil on a chemical level, potentially releasing harmful compounds at high temperatures. This tends to occur with polyunsaturated cooking oils, such as canola and sunflower oils. At high heat beyond the oil’s smoke point, the chemicals within these oils oxidise and release toxic compounds known as “free radicals”. These compounds can contribute to dementia and cardiovascular disease, according to a study titled “Free Radicals and Other Reactive Species in Disease”. However, it’s important not to be put off by the chemical risk of polyunsaturated oils – canola oil has a smoke point of 200 degrees Celsius, and can still produce safe, delicious fried treats well under this temperature. A basket of fried chicken.Understanding the smoke point of your selected oil is vital in safe cooking practices. The smoke point of the oil you choose determines the temperatures at which you can cook. For commercial cooking, in particular, choosing an oil with a high smoke point gives you more flexibility of use. Furthermore, A common fryer problem for restaurants is a high turnover of oil. A high smoke point means that you can reuse the oil because the oil hasn’t broken down to release harmful chemicals. As long as you strain out any extra crumbs or food waste after it cools, this can save a significant amount of money when it comes to maintenance costs. In essence, there is no perfect oil – choose based on what you are frying. 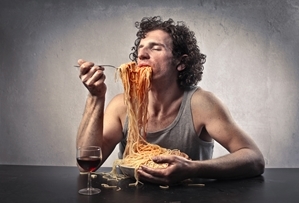 With certain foods, however, there are general guidelines that many cooks follow. When frying chicken in any capacity, a high temperature is required to ensure that it is cooked through properly. 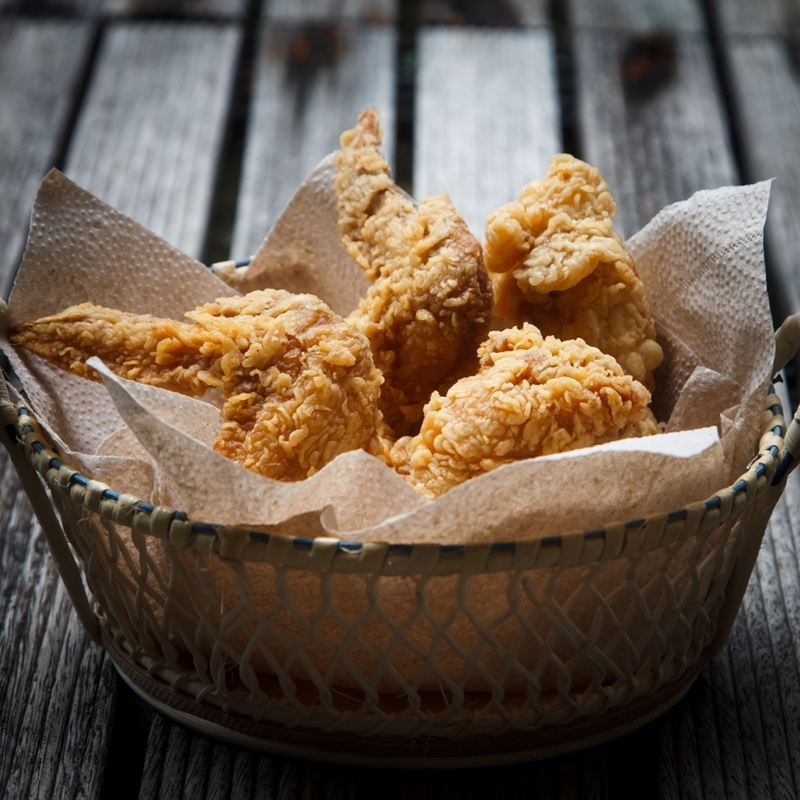 For this reason, oils with high smoke points are perfect for frying chicken as they can withstand high temperatures. It’s important to have the oil at a high enough temperature to quickly crisp and seal the chicken in its coating, but not hot enough to burn the outside. Vegetable oils such as canola or sunflower are often used when frying chicken as they are relatively flavourless and won’t compromise the taste of your seasoning. 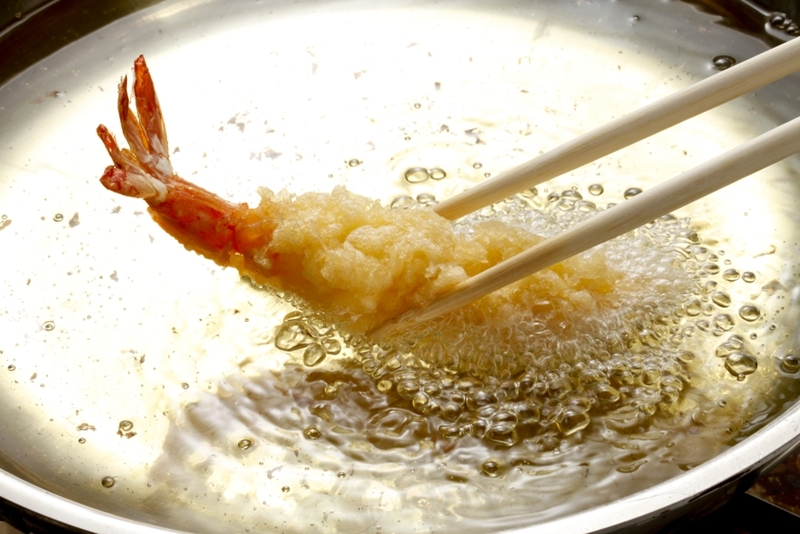 The process of cooking tempura is often a difficult one to perfect the first time around. Not only does your batter need to be sufficiently cooled and your coating to a minimum, but the temperature of your oil needs to be within a specific range. Your oil should be no hotter than 180 degrees Celsius. Each restaurant may use a different blend of oils depending on the flavour they wish to achieve. Sesame oil is often part of the blend, however, many restaurants use rice bran oil as it has a smoke point of 254 degrees Celsius and is a cost-effective option. This results in a slightly sweet taste which complements the vegetables and the panko breadcrumbs that are often used as a coating. 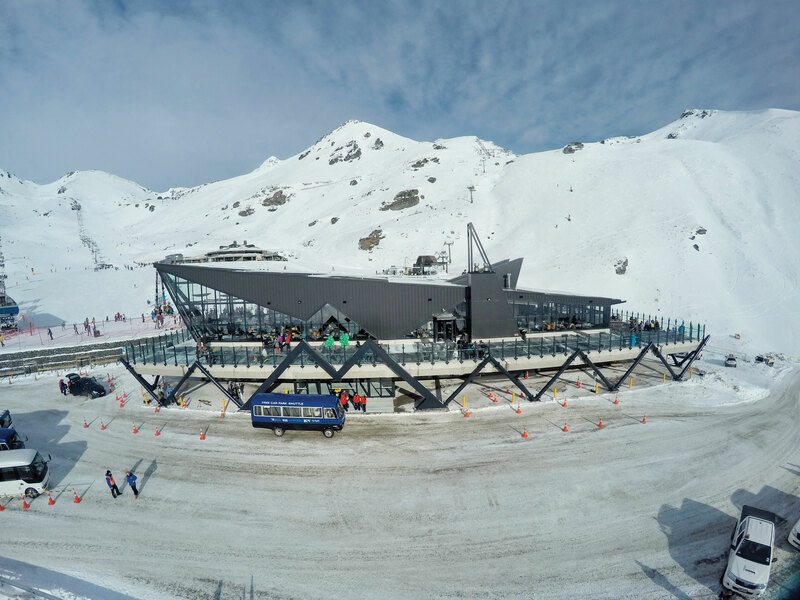 For those operating fish and chip outlets, a large volume of oil is needed to keep up with the demand for crispy fried food. Canola oil is a great option because of the high smoke point. However, it is important to use different deep fryers to separate your fish from chips to reduce flavour transfer. A small fryer such as the FastFri FF18 can easily fit into small spaces, yet maintains a high cooking output. While canola oil alone is flavourless, after cooking a significant amount of fish the oil can take on a distinctively fishy taste, which may compromise the flavour of your chips. Looking to transform your kitchen with a new deep fryer? 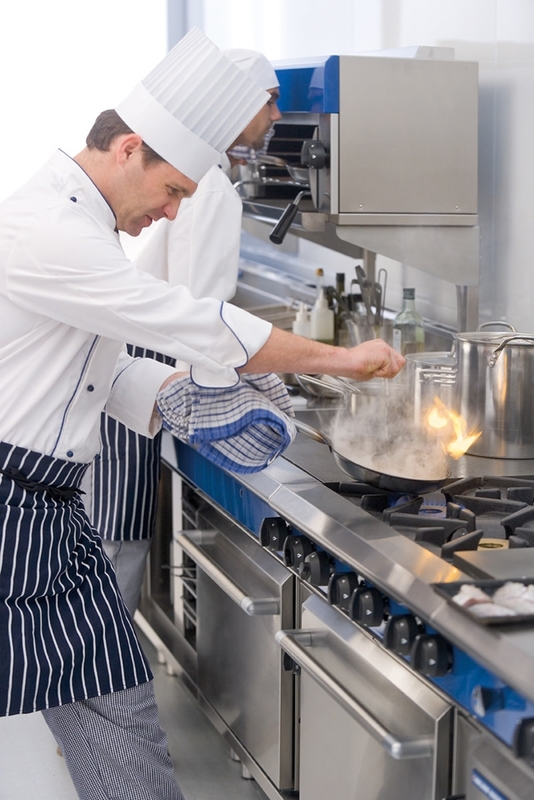 Get in touch with the experts at Moffat to explore the range of world-class cooking equipment.